The difficult part of describing the life of Jan Tober, is that she has done so much! If you ask Jan when everything actually started, she will firmly state that she "arrived" when she was ten years old! At this early age, she understood that she was a "walk-in" even before people started talking metaphysically about what that might be! What we now understand about walk-ins, is that they have a specific mission to accomplish, and Jan already knew what it was. Jan's entire life was metaphysical, enhanced with music. Her amazing Jazz voice was recognized very early, and at 18 she performed with some of the Jazz greats of our time. Stan Kenton and Benny Goodman both sought her out for their big band tours. Then came Fred Astaire, who signed her on his own record label as his first recording artist! All through this, Jan was aware that her real mission was going to be later in life... and she was right. Even during her singing career, Jan started studying everything she could find that was metaphysical. This led to the real beginning of a true awakening to her mission in the 1970's, when she started channelling Saint-Germain. Slowly, through receiving messages from her channelling, she began to work with shamans and healers, and in a few years, she absorbed more than most do in a lifetime. Today she is seen as an authority on many metaphysical processes, but her specialty remains Sound and Color. Her channelling became stronger, and she started receiving messages about her own future. She was told by her source that she would have a world-wide presence, and the source was right. When she met Lee Carroll in the recording studio, if was about music. Then in the early 80's they married, and the real metaphysical adventure began. Through Jan's patience and perseverance, Lee finally realized his own path, and started channelling KRYON. The Kryon work became her main impact on the planet, sitting by his side and bringing this loving energy to thousands. In not too long a time, she was presenting all over the world! This included many return tours of Germany, France, Russia, Singapore, Switzerland, Austria, Australia, and more. You might think she didn't have much time for anything else, but then she co-authoredÊ the best-selling Hay House book in 1999: THE INDIGO CHILDREN! This book became an instant main-stream best-seller, prompting Jan to write two more indigo books with Lee in the next decade. 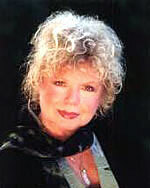 Today, Jan is sought out for both her artistry, and her mastery in teaching several metaphysical healing modalities. Her world-class experience in channeling, healing, and meditation methods brings many to her classes and to her sound and color healing room in California. She also features phone readings and consultations. From Jan: "My whole life and my mission is to help people adapt to the new energy on this planet." From Lee Carroll: "Without Jan Tober, there would be no KRYON. Everything you see when you look at the KRYON work, is due to her. Thank you Jan!"